Many people don't have a clue when it comes to elastomeric coatings and are confused about it when buying elastomeric paint in the marketplace. For those who want to take advantage of this type of paint, getting the right information is valuable. Elastomeric coating was designed to be a waterproof coating/membrane to keep water, specifically wind driven rain, from penetrating concrete. The aim was to stop moisture from getting in to protect the contents of the building or structure. The coatings were very thick usually applied in two coats resulting in 10x the thickness of regular house paint. To prevent cracks from appearing and to guard against movement, the coating was made to be flexible and elastic like rubber. The hybrid elastomeric coating started when some paint contractors started combining elastomeric coating with other paint to improve the coverage and fill cracks found on wood siding. What came out as the finished product was a lot better than what other contractors were using. 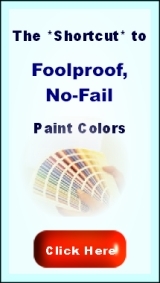 Since manufacturers were concerned about paint contractors mixing products with no quality control, they decided to produce a resin that would enable them to achieve their desired results. Many homes have been painted with elastomeric coating and many manufacturer have in their product line a hybrid elastomeric coating.